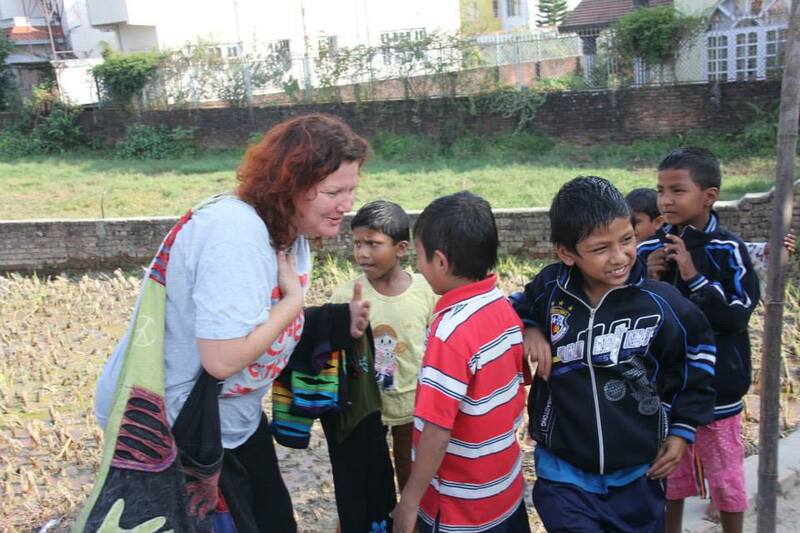 1) Volunteering Teaching in Chitwan. Details for Volunteering in Government School, Chitwan, Sauraha . Chitwan 150 Km far from the Capital city of Kathmandu. 25 minutes flight & 5 hours drive from Kathmandu/Pokhara It is located in the central part of the country, having flat land and rich natural resources. Nepal;s famous and oldest National park is located here. It is linked with Major highways and facility of domestic airport. Chitwan Sauraha is comparatively more facilitated than the other mountain parts of Nepal. Volunteers can stay in t the hotel in Sauraha, get more facility to compare with other mountain areas. Besides all of these, there are many schools, which are owned by Government, but having lack of education systems, lack of many infrastructures. So, Our Pioneer Foundation focused in this backyard areas for the school, orphanage house volunteering with staying at a hotel. Shree Malpur Secondary School, Sauraha, Chitwan. Schools are located 10 – 15 minutes walking distance from the Hotel Jungle Wildlife Camp, Sauraha. Toilets, Sports materials, grounds, Science Lab, School offices and Library are in weak conditions in those Government schools. All teaching methods are in Nepalese Medium, except English Book in Government schools. Per Day Volunteering: US $ 36 per person per day (This will includes, lodging, food, volunteering fees in Schools . Land Transportation in/out to the Sauraha, Chitwan. You have to sign up for minimum of 05 days volunteering teaching. But if you could do more days for volunteering in School, it would always be perfect. You could sign up for 1week, 2 weeks, 3 weeks, 1 month or more volunteering teaching in these schools but you have to confirm your timeline of volunteering beforehand. On your volunteering program, lodging will be at “ Jungle Wildlife Camp.” You will get one double/Twin Bedded or Triple bed room for your stay while volunteering . Hotel provides you All foods and accommodation. Attached bath room, 24 hour Hot Shower, 24 hours free WiFi internet access are includes with this price. You will staying in a hotel, so, we will have all the facilities what you expect from a hotel. Choice of any eggs, Tea or coffee, Hash Brown Potato, Breads, Butter/Jam. Nepali Food Set (Dal Bhat Veg set ) - which is combine with plain rice, lentil soup, Vegetable curry, Green salad, pickle etc. Sometimes, we will provide, Chinese, Continental and Indian veg dishes. Chitwan is located in low land areas, which has very famous Chitwan National park. This national park is the resident of great one horned Rhinoceros, habitant of 450 species of birds, many flora and faunas etc. You Can do jungle Safari, Jungle walk, Visit to the crocodile Breeding farm, Elephant Breding center, 20,000 Lake tour, Jeep drive , Chepang Hill trail, Devghaat dhaam visit, Banana Garden, Fish pond, Cow Farm, Chepang Child home etc. You Can also visit some orphanage home and volunteering over there. If you want to support anything, you could buy each and everything in Kathmandu to take with you or you can buy from Here.